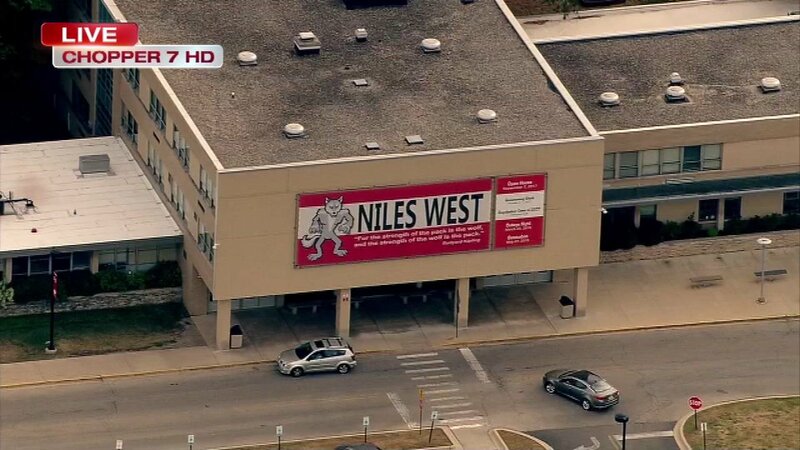 Niles West High School was placed on lockdown Monday afternoon as police investigated a report of student bringing a gun to school, Skokie police said on their Facebook page. An Airsoft BB-style pistol was found. No injuries were reported. The lockdown was lifted, according to message posted just after 3 p.m.
Two juveniles were detained in connection with the incident, police said. Niles West High School lock down has been lifted, Scene secured, No injuries more information to follow. A parent had contacted police, telling them that their child had told them a fellow classmate had brought a gun to school. Anyone with information is asked to contact the Skokie Police Department at 847-982-5900 or the 24-hour Skokie Crime Tip Hotline at 847/933-TIPS (8477). Text-A-Tip is available 24-hours a day by texting "Skokie" and your tip to 847411.